Time to get ready for the beach? Looking to slim down a dress size or two? If you answered yes, then let Body Perfect® get you there faster. It’s already helped over a million people reach their weight loss goals, so it can help you too. While it’s a potent weight loss tool, Body Perfect® is unlikely to give you a jittery buzz. That’s because it uses 100% natural, premium quality ingredients and herbal extracts at highly effective yet safe amounts. These include green tea, caffeine with guarana and L-tyrosine – all scientifically proven to accelerate fat loss. When combined with a sensible diet and some exercise, the numbers on your bathroom scale will shrink even faster. We’re not the only ones saying it. Body Perfect® was voted No.1 by the readers of Women’s Fitness and received 9 out of 10 from the Daily Mail. Engineered to help you trim down and look your best, Body Perfect® is made from a high strength blend of green tea, caffeine, guarana, L-tyrosine, naringin, alpha lipotic acid and bitter orange peel. As you’d expect from a Bio-Synergy product, each ingredient is scientifically proven to be effective when taken on its own. But when they’re combined into one capsule, using our methods and precise quantities, they form a highly potent weight loss formula that helps you reach your goals sooner. Let’s look at each ingredient in more detail so you know exactly what you’re putting into your body. An exceptionally popular extract due to its thermogenic effect, which can enhance fat loss. It’s also a great source of antioxidants – called catechins – that help support immune function and cardiovascular health. This important amino acid is proven to help with mental performance as well as mental health. The ultimate all-rounder ingredient, caffeine is effective in controlling appetite, enhancing metabolism and boosting energy levels. Also known as bitter orange peel, auranthium is associated with weight loss due to its potential thermogenic effect. A popular yet gentle stimulant that’s included to enhance metabolism and control hunger. This extract is known to support healing of tissues after intense, grueling workouts. But more importantly, its power lies in how it can increase the effectiveness of other ingredients. An antioxidant that helps shift glucose into muscles and away from fat cells, increasing energy and reducing stored fat. 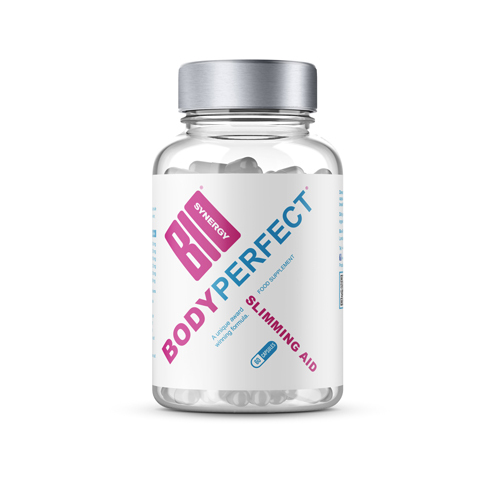 Body Perfect® has received positive reviews from dozens of renowned companies, including 8.5 out of 10 from UK Supplement Review and rated number one by the Daily Mail and Women’s Fitness. IS BODY PERFECT® RIGHT FOR YOU? If you’re looking to slim down and sculpt a leaner physique, then Body Perfect® is the ideal weight loss formula. And if you’re worried about putting powerful chemicals into their body, reassuringly Body Perfect® is made from high quality, natural ingredients and herbal extracts. Although Body Perfect® contains sources of caffeine, it’s unlikely to make you feel jittery like some other stimulants can do. Rest assured, Body Perfect® has been used by over 1,000,000 customers with great success. So it’s likely to work for you too. We’ve got you covered with a wide range of other lean muscle and weight loss products: Skinny Protein®, Activeman Thermolean®, Matcha Green Tea Powder, Skinny Water®, Vegan Lean&Green®, Thermogen and CLA. As with all our products, Bio-Synergy Body Perfect® Capsules are made from only the highest quality ingredients. What’s more, Body Perfect® is manufactured in the UK by an expert team of scientists. That’s how we ensure every bottle is made to the same high standards. For optimal results, take four Body Perfect® capsules per day – two capsules before meals with a glass of water. Most customers report noticing results within one month. We suggest you don’t consume Body Perfect® before sleep due to it containing caffeine. Do not exceed the recommended daily dose and keep out of the reach of children.